Purple Martin Mania in N. Michigan! Rogers City goes purple! What a great cause and a great opportunity for folks in Northern Michigan to show support for at risk kids. If you are in the Presque Isle County area, I encourage you to spread the word and attend. 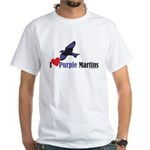 The Purple Martin, an endangered migratory bird, a symbol for foster children and an eco-friendly lifestyle. Sponsored by The Purple Martin & the City of Rogers City.